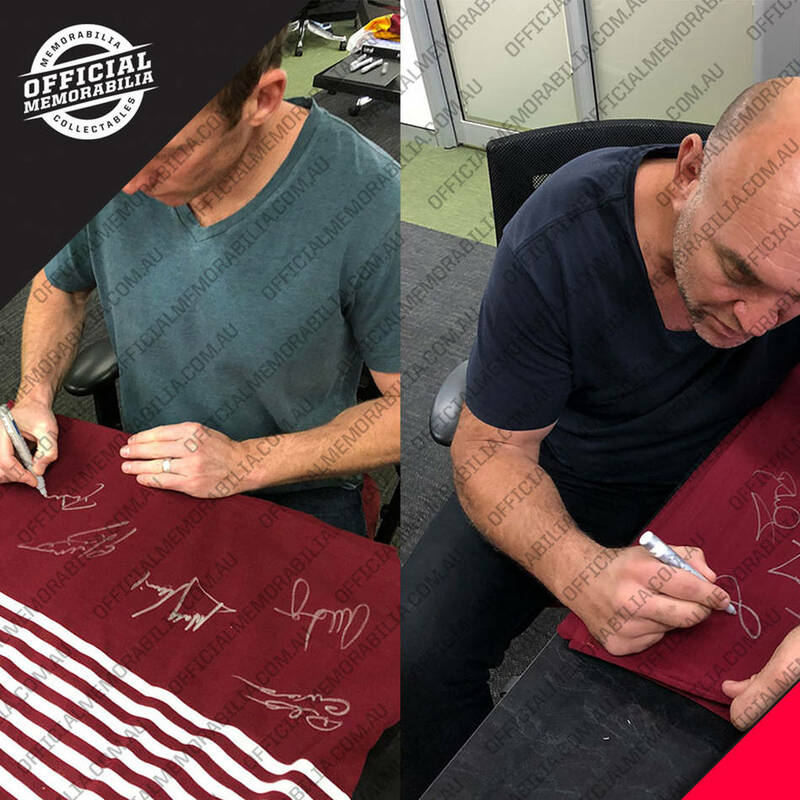 Official Memorabilia, in conjunction with the National Rugby League, are proud to release Brisbane Broncos 'The Greatest' Jersey. 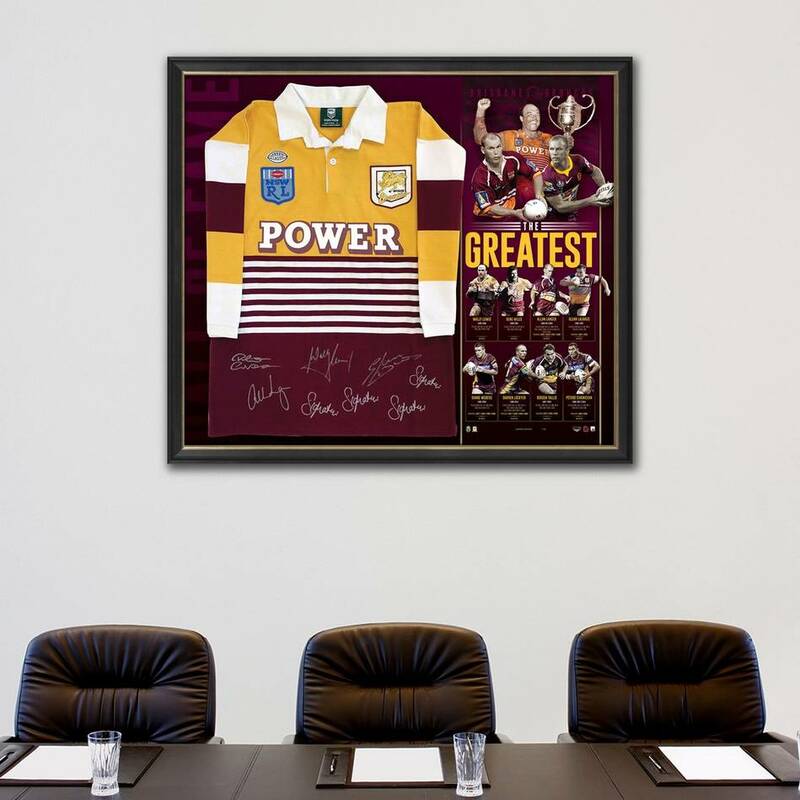 Featuring an official heritage jersey personally signed by the club’s greatest players – names synonymous with individual brilliance and team triumph - Brisbane Broncos 'The Greatest' Jersey is strictly limited to just 100 editions worldwide. 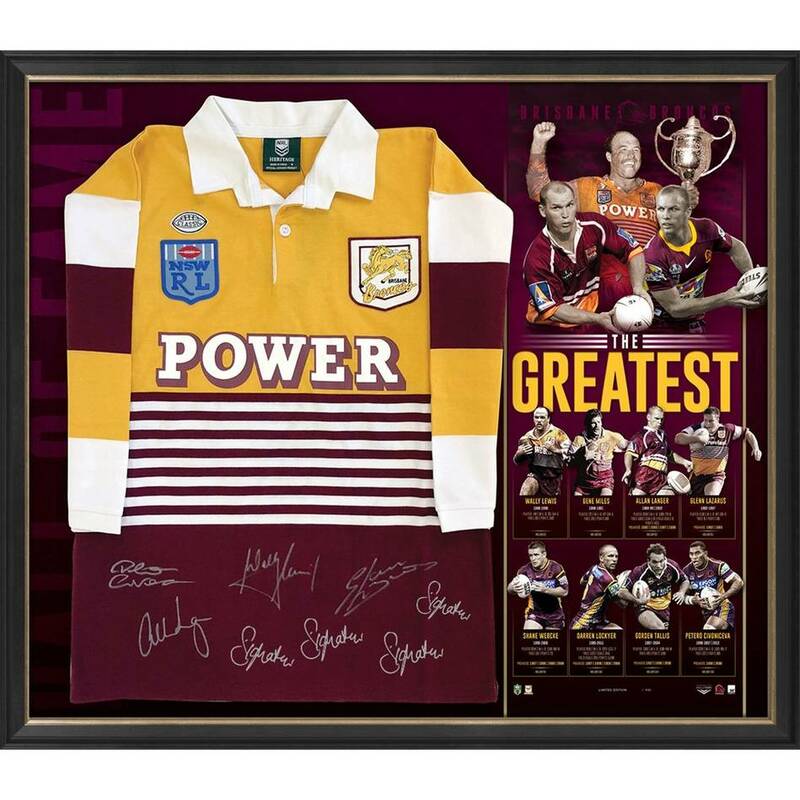 Officially licensed and endorsed by the NRL, secure yours now to avoid missing out on your piece of Broncos history.